Solarize programs facilitate savings on the cost of solar energy and battery storage by leveraging the power of bulk purchasing. For four months businesses, homeowners, non-profit and municipal buildings will be encouraged to undergo a free solar evaluation and hopefully sign a contract to install solar. Pricing is based on a tiered system; more participation helps to bring the price down for everyone. The organizers of the campaign, which include the City of Roswell, Chattahoochee Nature Center, Keep Roswell Beautiful, Environment Georgia, Georgia Interfaith Power and Light, and Solar Crowdsource, will encourage residents, local governments and businesses to sign-up for a solar evaluation between April 10th August 31st, 2019. Georgia ranks 11th in the country for installed solar capacity but the majority of the energy we use in our homes still comes from coal, gas and nuclear power plants. Predecessor Solarize programs including Tybee Island, Savannah, Athens, Decatur-DeKalb, Dunwoody, Atlanta, and Carrollton-Carroll installed over 400 rooftop solar arrays and generate over 3 MW of solar electricity. The Coalition held a competitive bid process to decide which solar installer would be the chosen for Solarize Roswell and Hannah Solar was ultimately selected. Hannah Solar has been recognized nationally by the White House for their leadership in the solar industry. They are the largest installer of solar in the state of Georgia and have completed over 450 installations. 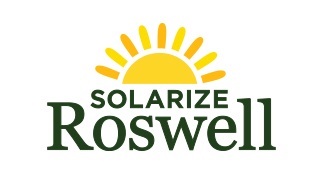 “Hannah Solar is honored to be the chosen contractor for the Solarize Roswell campaign. We’ve got an enthusiastic group of solar professionals that couldn’t be more excited about this opportunity to make a positive impact in the Roswell community,” said Joseph Waybright, VP of Residential Sales with Hannah Solar. “Roswell residents and business owners can expect a five-star experience from beginning to end." The formal campaign launch event will be April 10th at 7:00 pm at the Chattahoochee Nature Center, Cowie Weiss Theater. Solarize Roswell is now accepting pre-registrations for solar evaluations. Go to solarizeroswell.com for more information.